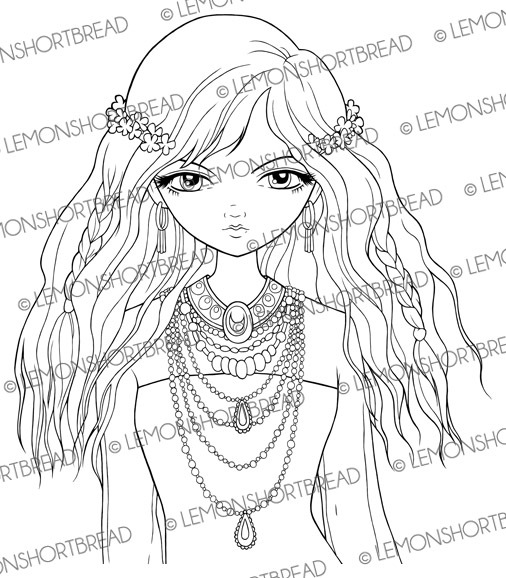 For this post I will show you how my Lemon Shortbread digi stamps are made. This one was a bit more tedious than usual. Naturally I can take the simple route: scan, fix the levels, clean it up a bit and done; but these days I've gotten used to clean sharp lines. 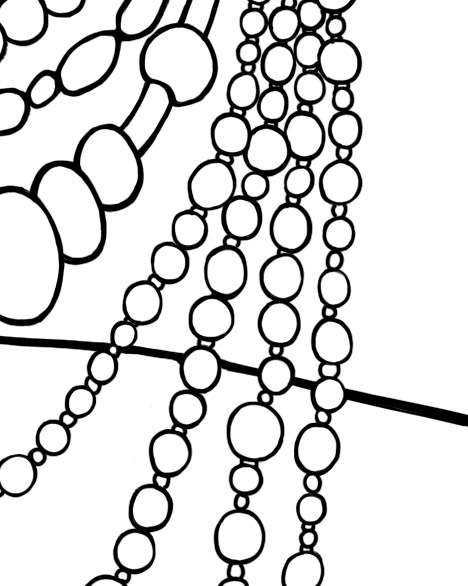 They look like vector and print out very nicely, but they are all raster. Why bother?? Well just in case I need it for something larger, it'll save me some headache later on if I do everything right the first time round. This was a lesson learnt from previous experience by the way. Also I make adjustments digitally such as symmetry (one of my main problems in drawing freehand) and mistakes. When you draw something digitally it contrasts too much with the original raw lines done on paper so once you start, you have to fix the entire thing to make them match. Maybe it's just me. This is the original sketch, as you can see, many mistakes. Since the lines won't be permanent I'm not hung up about it. If I am doing traditional art, it is an entirely different matter altogether - I usually redraw the picture using a lightbox if it isn't good enough. Sketching and inking doesn't take long, redrawing in Photoshop extends the job over a few days. Above is after level adjustments: you can tell I don't give a crap lol. 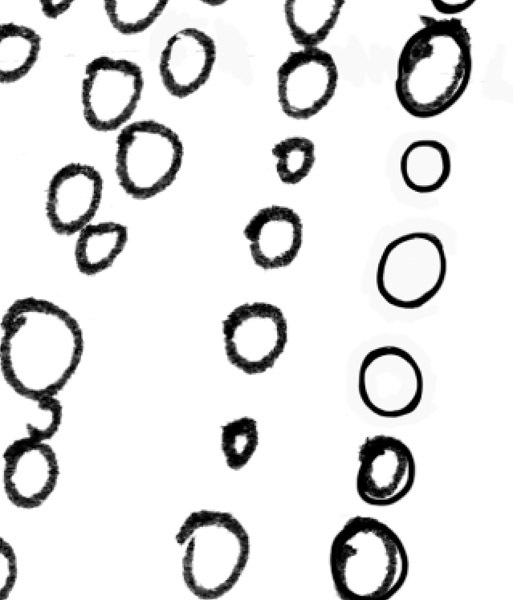 Not good at drawing circles, especially not digitally. I use a wacom by the way. 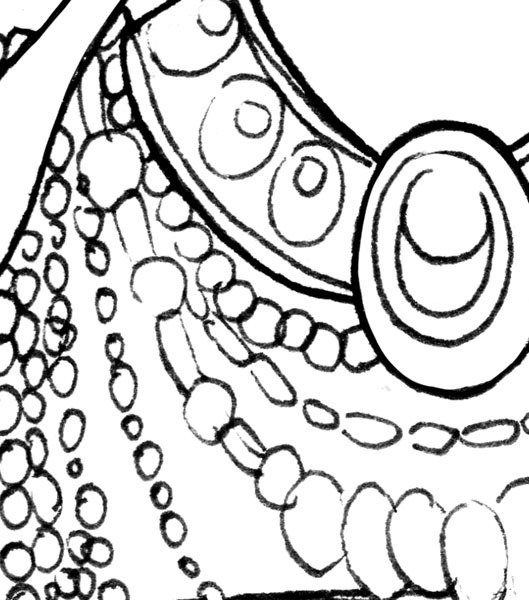 The lines are too fuzzy so I redrew on top, or entirely erase and redraw. Looking much better after hours of fiddling. The irregular shapes are on purpose... not that much of a perfectionist. As long as they print out above normal standards. 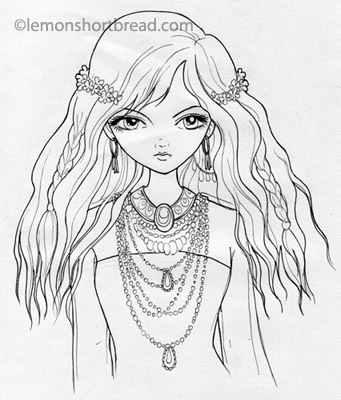 Don't want to kill my already cramping hands with perfect circles lol.... That's it, hope you enjoyed this post and like my little bohemian girl!